There is a lot to look at if you are trying to wade through the industrial janitorial services marketplace to find a contractor that takes its role in your facility seriously. Fortunately, CIMS certification offers a great place to start. What exactly is the ISSA’s CIMS and CIMS-GB certification? It is an industry relevant accreditation issued by the ISSA, or the International Sanitary Supply Association, a worldwide professional organization dedicated to building services and the companies that offer them. CIMS stands for the Cleaning Industry Management Standard certification. This certification offers a challenging program that requires building services contractors to implement and demonstrate successful and effective use of the industries best practices in a myriad of areas. Finally, the GB in the certification is an acronym for Green Building. Holders of this specific accreditation are certified to help put you on the path towards a greener building and are trained to help you earn more LEED-EBOM points. This rigorous and stringent accreditation program can help you narrow down your list of potential Michigan industrial cleaning services to those companies best set up for your individual facility. ▪ Service Delivery: Assure that janitorial companies implement systems and processes to assure responsive, consistent, quality service. ▪ Quality Systems: Confirm the structure needed to ensure effective operations & continuous improvement is in place. ▪ Management Commitment: Examine the company’s vision for the direction of their business that will lead you towards a stronger and more beneficial partnership. ▪ Health, Safety, & Environmental Stewardship: Assure the provider mandates regulatory compliance at the federal, state, and local level and ensures safety for the workplace, and for the environment. ▪ Human Resources: Confirm the company takes the training and welfare of their employees seriously as they are their greatest asset and your frontline resource. Being a recipient of the ISSA’s CIMS-GB certification speaks volumes about your prospective Detroit industrial cleaning company. Not only is the accreditation program rigorous and challenging, it is voluntary meaning that your prospective industrial cleaning company went out of their way to demonstrate their competency to the ISSA and prospective customers and elevate the overall quality of their service for current and future customers. Companies that possess this certification are the cream of the crop so to speak. They have clearly put their best efforts into being a customer-driven commercial cleaning service that takes the unique needs of each facility seriously and gives them the attention that they deserve. As with any skill, the more time you take to hone and master your trade, the better quality service you can deliver to your customers. 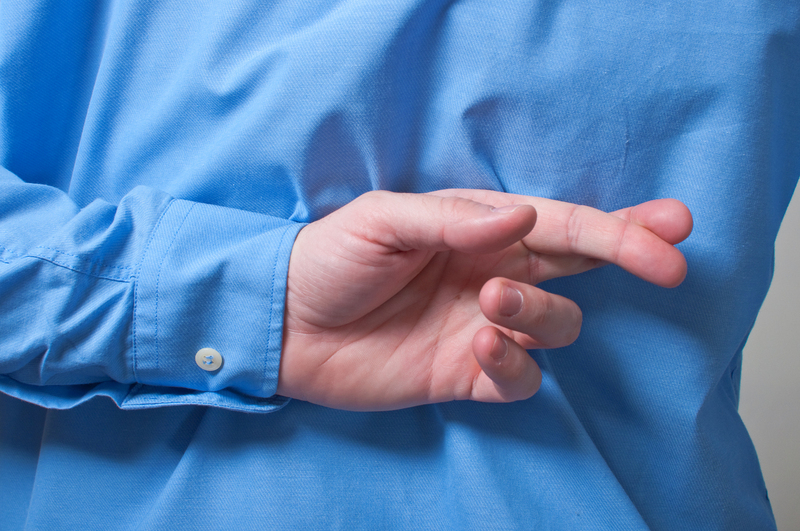 We’ve all heard the phrase “you get what you pay for”, and to some degree this can be true. Still, when it comes to industrial cleaning, and really any janitorial or cleaning service, paying more isn’t always going to get you better results. If only the equation was that easy but unfortunately cost does not always translate into value. Of course, you also can’t just chase every low bid because it looks promising on paper. It all comes down to how experienced and professional your cleaning and maintenance service actually is. Companies with experience know how to take appropriate cost-saving measures and are so experienced they can save you time and money while giving you more for your dollar. A detailed and well executed cleaning specification designed specifically for your facility can assure that you get your needs met without wasting your time or money on things with little impact on the operations of your building. Experience isn’t charging a high price, experience is knowing how to work with a significantly reduced budget while still providing a quality service. As a premier Detroit industrial cleaning service, we take pride in demonstrating the quality and effectiveness of our work time and time again. At Stathakis, our first priority is making sure our customers receive a quality service at a price they can live with. As a local Michigan commercial cleaning service, we work hard to deliver professional services while holding on to what makes us a truly local cleaning service, a personal connection with our customers. We would love to be given the opportunity to demonstrate our cleaning and maintenance practices and put together a custom plan that fits the needs of your facility, and your budget. We take great care to assure quality services with a reasonable price tag while placing a heavy emphasis on compliance and regulation. No matter if you are looking to up your LEED-EBOM score, beginning a green cleaning program, or just looking for a more reliable industrial cleaning service, we can lend a hand. Stathakis is CIMS-GB certified and we are one of the most well regarded industrial cleaning companies in the Michigan area. Our LEED and ISSA certifications are a symbol of our commitment to providing an industry leading level of service. Here at Stathakis, we are constantly trying to push progress with the level of service we provide and strive to drive industry innovation and processes that benefit our customers. Facility Managers will often find that without the help of regular maintenance teams, issues tend to grow out of control and overwhelm their ability to address and fix them in real time. Not to mention the cost involved in both time and money each time you must find a new contractor. This problem is especially prevalent in larger facilities that may have ongoing maintenance issues such as painting, plumbing, electrical, and HVAC. Trying to coordinate all of these separate projects isn’t just costing you money, it’s costing you time, and a lot of it. Fortunately there is a better way. By partnering with a commercial handyman service, you can save time and save money all while getting issues in your facility addressed quicker . You can keep your staff and occupants satisfied and protect your facility’s positive reputation. Perhaps it is time to start looking for the right commercial handyman service for you and your facility. 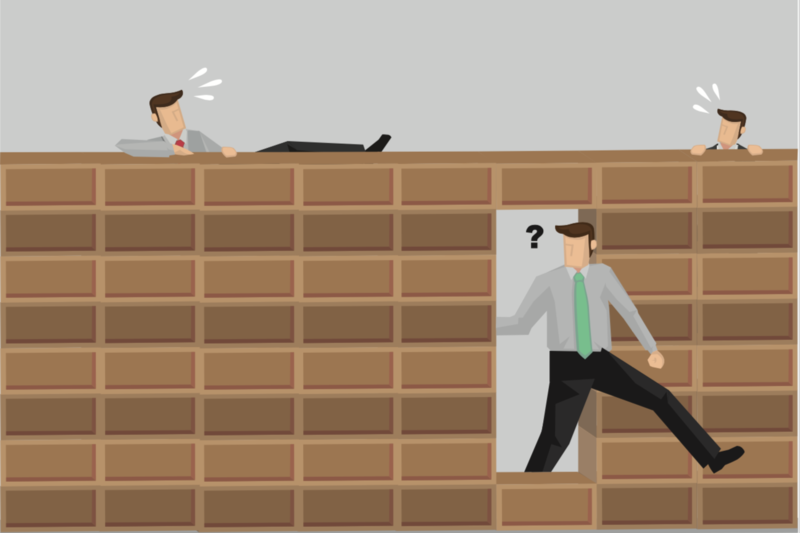 Any Facility Manager knows that no matter how experienced or skilled you are, your facility will throw things at you that will bog you down and overwhelm you from time to time. Managing this ongoing battle with your facility’s maintenance is going to seriously cut into your time to be working on other, often more important things. The good news is that with the right commercial handyman service, you don’t have to be overly involved with dealing with day-to-day maintenance issues. On top of that, you can be more preventative focusing on the little things that when ignored or put off grow into large, untenable problems. You can even create a custom maintenance schedule to make sure that your facility is always in its best condition and you can plan, budget and execute all your important repairs, scheduled maintenance, preventative maintenance, fixes and projects. The important difference between a single contractor and a professional, commercial handyman service provider is the commitment to your facility and the breadth of services available. Every time you hire a contractor to take care of one project, there is the concern that they aren’t going to show up on time, that the work they do will be subpar, that costs and fees might be higher than stated. But when you partner with a reliable, professional handyman services company, you develop a relationship, you know what you are getting, the overall standard and quality of work and what to expect. This consistency builds trust and saves you time, money, and likely, your sanity. Don’t make managing your facility’s maintenance harder than it needs to be, start looking into the benefits of commercial handyman services. When you partner with the right company, you are getting a team of industry professionals who have years of experience in handling a variety of maintenance issues and tasks. Handyman service providers are like the Swiss Army Knife of the maintenance industry. You’ll be getting experts in HVAC, plumbing, painting, general repair, and electrical among others. No longer will you have to get in touch with different contractors to get work done around your facility. Instead you’ll have the easy and affordable option of letting your commercial handymen address issues quickly and cost effectively. Do I Need the Help In My Facility? We’ve found that Facility Managers sometimes worry that they don’t have enough work to warrant an ongoing partnership with a commercial handyman service. Or perhaps you are on the other end of the spectrum and have concerns that your facility requires too much work and wonder if any contract service providers have the ability to keep up with your facility’s demands. Whatever the case may be, there is a provider and level of service that fir your needs and your budget. The best commercial handyman services will customize their teams and work around the unique demands and budget of your facility. Some facilities will require daily maintenance at multiple locations, others may only periodic check-ins or services calls to make sure everything is running smoothly. Or, perhaps your maintenance is seasonal and you need more help during certain times of the year. It does not matter, the right maintenance companies will be happy to put together custom service plans to make sure that your facility is well maintained. Is Your Professional Handyman Service Truly On Top Of It? What we’ve described above will sound pretty great to most Facility Managers, but not every commercial handyman service offers the level of care, knowledge and professionalism needed to be a true ally and partner in your facility’s maintenance. A commercial handyman service is not the same as a one-man with a van “handyman service”. Small or single operators rarely have the staffing and flexibility to address a wide variety of issues or scheduling specifications. A true commercial handyman service is one with a team of dedicated professionals. Their wide variety of experience and knowledge allows them to work in nearly any facility and they are more likely to have a large staff means that they can handle your needs as they ebb and flow. Unlike the smaller operations, larger service providers have the depth and breadth of knowledge to address more complex issues and are often much better at resolving problems quickly and with minimal disruption to the day-to-day operations of your building. Partnering with the right professional commercial handyman service is going to save you time, money, and just make you life easier in general. You can get many of your facility’s needs met in one place and assure your facility is well cared for and tuned up as needed. No matter what is on your to-fix and to-do list or how long and overwhelming it has become, a good commercial handyman service will have your back so you don’t have to spend time hassling with independent contractors. If you are sick and tired of dealing with the seemingly overwhelming number of problems that crop up day-to-day, it is time to make the switch and help us help you. At Stathakis, we have served the businesses of Southeastern Michigan for over thirty years. We are proud members of the BSCAI (Building Services Contractor Association International) and are CIMS certified. The Cleaning Industry Management Standard assures our customers that whether its our Commercial cleaning, janitorial services, day porter service, commercial facility maintenance or handyman services, we will deliver effective, affordable solutions. If you are looking for a Commercial cleaning company in Michigan that can deliver a multitude of solutions for your facility or facilities, from Commercial handyman services company to Day Porter services to industrial cleaning, medical cleaning and Janitorial, please get in touch. We provide commercial cleaning and commercial handyman services to Genesee County, Livingston County, Washtenaw County, Monroe County, Wayne County, Macomb County, St. Clair County. We offer effective, professional facility services to the cities of Detroit, Ann Arbor, Farmington Hills, Dearborn, Farmington,Livonia, Plymouth, Downriver, Royal Oak, Southfield, Troy, Auburn Hills, Novi and more. For more information on our services and how we can help you, please contact us at 1-800-278-1884. Are Problems With Your Commercial Carpet Cleaning Piling Up? Carpets can offer your facility a lot of benefits, they can be easy on feet, help dampen noise, improve air quality and when properly cared for look great. But of course carpets come in all different states, some have been newly added to your facilities and others are perhaps older than you are. Fortunately, a reputable and competent carpet cleaning service is going to know how to best help you whatever the condition of your carpet. Maybe you have to squeeze a couple more years out of it before you replace. Maybe you finally shelled out for new carpet and now you want to get as many serviceable years from it as possible. Finding the right commercial carpet cleaning service that knows what it is doing is critical to caring for old carpet, new carpet and everything in between. When looking for Detroit carpet cleaning, it can be so difficult to distinguish one company from the next. For every solid company you find, there are another twenty looking out for themselves, not your carpet and your facility. Another thing you may notice about different carpet cleaning companies is the difference in the quality of equipment, training, procedures, and staff. Unfortunately, it can be nearly impossible to see these differences until you’ve actually hired the company and they have worked on your carpets. That is to say, after the damage has been done. Picking the wrong Detroit commercial cleaning company can spell disaster for your carpets, your budgets and ultimately, your facility’s care and reputation. Deciding on which carpet cleaning company to partner with is never going to be an easy decision, but there are some telltale signs that can help you predict the kind of service you are going to receive. So, what should you be on the lookout for? The first thing that should come to mind is people. Carpet cleaners are the single biggest predictor of success or failure in carpet cleaning and facility maintenance. A company's staff are the ones that are doing the actual work in your facility. A carpet cleaning company can buy the latest and greatest in fancy new cleaning technology, but it doesn’t mean much if staff isn’t well trained on it. And the work doesn’t stop at training either. Any competent Detroit carpet cleaning service will also screen their employees with comprehensive criminal background checks, drug tests, and more. Good cleaning doesn’t mean anything if you, your staff, and your facility are at risk. Carpet cleaning staff must not only be trustworthy and reliable, but have the know-how to identify and deal with carpets in a variety of conditions, stains, use correct cleaning methods to improve carpet longevity and cleanliness, as well as decide on which tools are right for the job to save you money and time. On top of this, your carpet cleaning staff should be well versed in green cleaning technology. In recent years the cleaning industry has come a long way and if you aren’t receiving a greener clean, then your cleaning company is dropping the ball and you aren’t getting your money's worth. Finally, make sure your carpet cleaning company has systems in place to address problems as they come up and keep open lines of communication with you. Another aspect of the carpet cleaning selection process you’ll be quick to realize and even quicker to get frustrated with is the wide and often inexplicable range of pricing. Obviously it is important to select carpet cleaning services based on your budget, but don’t let it be the only deciding factor. Prices well below market can seem appealing at first, but an important question to ask yourself is how a company can offer such a low price compared to others. Often this is an enormous red flag for illegal hiring practices and other forms of corner cutting that will damage the overall quality of your service. On the other hand, it can be easy to convince yourself that very high prices translate to very good service. More often than not, however, you’ll find that price alone isn’t a very good indicator of quality or value. This disparity in expectations can often make it difficult to use pricing as an effective tool despite it being so important. So, what can you do to clear things up? Most importantly, you should make sure that your pricing is precise and detailed. A clear write up for what you are paying for and why is the best possible way to decide if the price is worth it for your facility. On top of that, ask your carpet cleaning about how they do business and you can see how your money is directly translating into training, equipment, management, quality assurance systems, and cleaning products and decide which company best matches your needs. Your carpets are an investment and one of the first things people see when in your facility. You want clean carpets and longer-lasting carpet cleaning. You want an effective carpet cleaning process. You want carpet cleaning technology you can count on. You want a carpet cleaning service that delivers results. Clean carpets make a positive impression, not to mention the money you save from getting more serviceable years out of them. Partnering with the right commercial carpet cleaning company can offer you effective cleaning service that can save you money in the long run. Here at Stathakis, we offer a competitive commercial carpet cleaning service based out of South Eastern Michigan that can meet the needs of your facility. We go out of our way to make sure our employees are of the highest caliber and give the relevant training to succeed in your building. On top of that we are resourced with the best equipment the industry has to offer and we feature a wide array of green cleaning products and equipment and can help manage and point you towards an effective cleaning solution for your building no matter your budget. Whether you are looking for an on-demand carpet cleaning or even a subscription based carpet-cleaning program, we are here to help. For more information on how you can keep your floors cleaner than they have ever been, please contact Stathakis at #800-278-1884. 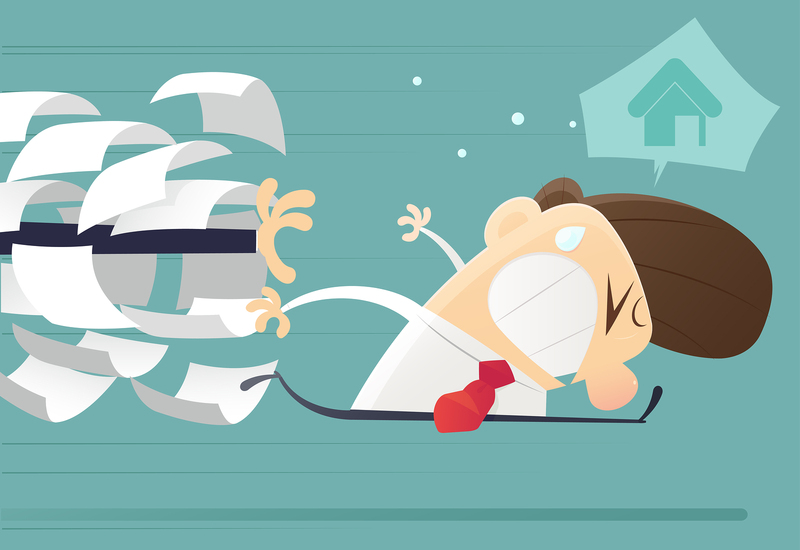 Is Your To-Do List Threatening To Topple Your Desk? Is The Price Of Commercial Handyman Services Getting You Down? Sure you want to tackle your expanding to do list, but you don’t want to topple your carefully planned budgets in the process. There are a couple of important things to consider when deciding if you can afford a handyman service for your facility. First, when you partner with a solid commercial handyman service, you are creating a partnership that benefits you both. Your maintenance company gets ongoing work and you get to move to the front of the line paying less than you would with a steady stream of new, individual contractors. Second, you have to balance the long-term benefits of having a handyman service with the pain of short term costs. Things are going to go wrong in your facility and invariably it is going to cost you more to get a last minute repairman out to your facility than to have a regular, established relationship with a handyman performing regular inspections and preventative maintenance. Think about it, if your HVAC system break in the middle of summer it is going to cost a small fortune to have someone drive out and fix it as opposed to having your contracted handyman service fix the problem or have made sure that the problem never happens in the first place. Third, having a partnership with a professional handyman service rather than hiring a handyman or team is always going to be less time consuming. Having to deal with wages, benefits, overtime costs, healthcare and other associated costs will take your time away from managing your building. Outsourcing your handyman service is a good way to save you time and money. If every time a maintenance issue comes up you have to find a new contractor to fix it, it is little wonder that you have so much work piling up. Finding a contractor often involves lengthy appointments to assess the problem and suggest remedies, price negotiations, scheduling and often waiting ridiculous amounts of time to get simple services completed. On the other hand, a solid, professional commercial handyman service is always ready to go whenever you need them. Even better, your commercial handyman service already has knowledge of the ins and outs of your facility and how to diagnose, price and complete work while causing minimal disruptions to normal traffic flow. What if every time you needed carpet cleaning you didn’t have to scour the marketplace to find a reasonable quote. Or when you needed electrical done you already had a contractor that you trusted could do the job? Having commercial handyman services is a cheaper, faster, more effective way to handle maintenance when compared to dealing with multiple contractors or trying to go it alone. What Should You Expect From A Handyman Service? With an established, reputable, experienced building maintenance company, you can get quick fixes to your maintenance issues, go straight to the front of the line, extend the life of your property’s assets, forecast better, cut maintenance expenses and even plan work around your needs. If you are in a long term contract with a commercial handyman service, it means you can get the help you need at anytime without having to put in all of the leg work every time you need help. Don’t go through the time consuming, beyond frustrating process of looking for a contractor every time you need help, contract with a professional handyman service to save yourself some time and money and keep your facility running without fail. You may have an exact of idea of what you want done in your facility but think that you simply don’t have enough work to necessitate ongoing service. Or, perhaps you have the work that needs to be done but you don’t think your budget can support a professional handyman service provider. Fortunately for you, most professional handyman services can adjust and customize their services to varying levels of work and a variety of budgets. The best commercial handyman services know that there is no one-size-fits-all service and they work to find the best solution for you. So don't think that just because you are on a budget or don’t have an immense amount of work that needs to be done that you can’t have an effective, affordable handyman service. There are some clear upsides to outsourcing you maintenance to a professional handyman service. Not only will it help you manage your ever growing to-do list, but it can help reduce the time and money associated with finding and contracting with an independent service provider each time you need a fix in your facility. Further, it means that you don’t have to worry about buying, maintaining, fixing, replacing and storing you own equipment and other necessities, Finally, you’ll have immediate access to industry professionals that can help not only with small tasks but can take on larger, more difficult projects that you may have been putting off. Not only can you avoid the premiums of individual contractors but you have a responsive service that you already trust to do the job correctly the first time. 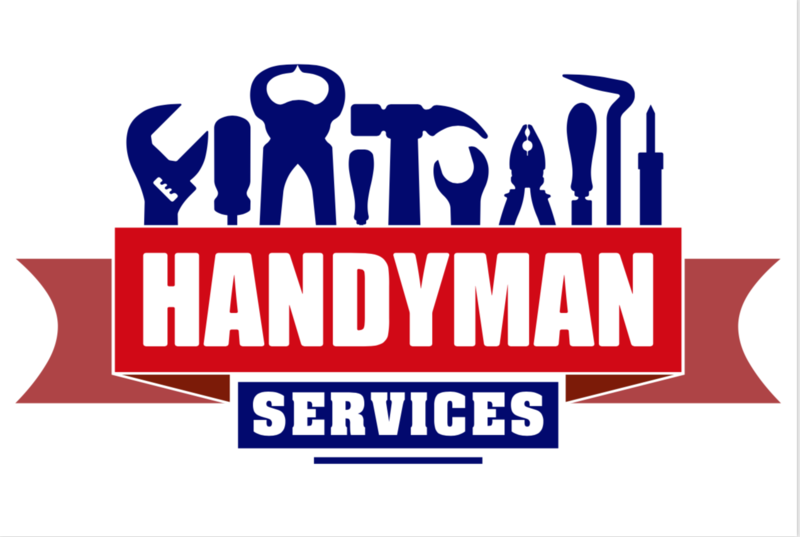 Let your handyman service do the work so that you can focus on your business. If your to-do list feels out of control or you feel like your job has become you running around trying to put out maintenance fires, it may be time for you to make a decision that will benefit you and your facility for years to come. Making the choice to outsource you building’s maintenance needs can help stabilize maintenance costs and assure that you get service when you need it most. Partner with a company that has a solid reputation and over 35 years of experience. To get more information or to schedule a free consultation, call Stathakis at 1-(800) 278-1884. Many of your fellow Facility Managers have already likely determined the solid benefits of having an effective, professional, reliable commercial office cleaning service provider. Unfortunately, there are still Facility Managers who have all but given up hope of good service settling instead for a below-standard janitorial company. Is it that they don’t want better cleaning services? Fewer complaints? A better value? Of course not, it’s likely more a function of either feeling like all commercial cleaning companies delver poor service or not having an understanding of how to tell the good cleaning companies from the bad. Why is it worth putting in the extra time and work to hire a professional, reputable commercial office cleaning service? With ever tightening budgets, you can’t afford to throw good money out the window on a cleaning service that just isn’t delivering. With a more effective building services contractor, not only can office cleaning be affordable, if can even save you money by increasing employee productivity, morale and helping to attract new customers. Having a commercial cleaning company that you trust and that provides real value is a excellent way to save money in the long run and keep your facility looking its best. As such, being saddled with an incompetent commercial cleaning service may end up being what costs you. If you are already running on tight budgets, it can be tempting to delegate some cleaning to your staff. This eliminates the need for a commercial cleaning company, right? Especially in smaller offices, far too many managers will try to enlist help from certain employees to keep the facility cleaner. As it turns out, your receptionist won’t be particularly happy to have to clean up the toilets after colleagues use them. Now cleaning isn’t any more or less important than any other job, but for an employee that was hired specifically for one set of tasks, it may feel that way. On top of this, cleaning tasks are always going to be put on the back burner for the work that your staff was hired to do. This leaves most building cleaning and maintenance poorly done or abandoned all together. Often this will lead to an unclean work environment that stems from a lack of proper cleaning causing higher absenteeism, lower job satisfaction and generally more problems between employees. You may also be thinking that it would be a better idea to hire your own cleaning team for your facility. At least then you have some control over it right? Sure, if you really prepared to wholeheartedly take on another full time job of cleaning management, background checks, training, firing, as well as all of the administrative work that goes into managing cleaning staff? More often than not, you will be certainly be better off devoting this time and energy into improving your own chosen business and bottom. Between healthcare costs and the money and time involved in administration of more employees, there are significant costs associated with employing over contracting. Similarly, running a cleaning service is going to have some very different skill sets and responsibilities than your chosen industry. 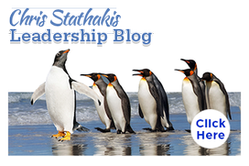 Even if you understand what it takes, it is likely better to devote your limited time towards other important areas. Successful business people understand that there are major advantages to hiring an expert. The more experience a business accumulates, the more they know. It is as simple as this. When you partner with a professional, effective cleaning service, you will get professional, effective cleaning in your building. As an added bonus, such cleaning might even be cheaper than you think it is. As it turns out, more experienced companies know how to more accurately price their service and have had years to work with other Facility Managers on a budget.. As such, they have honed their service to be effective even when your cleaning budget is less than optimal. Similarly, through scale they get cost saving measures you would not running a smaller in-house cleaning operation. Another important aspect to consider is that a professional, experienced commercial cleaning companies have a more clear understanding of federal and state regulations that govern them. While it may seem obvious, this means that you don’t have to waste time familiarizing yourself with these various regulations. When a company is primarily focused on cleaning as their core business, they have likely spent the time and energy needed to secure the best prices on the quality supplies and equipment to keep your offices sparkling clean. As such, you can avoid expensive chemicals and cleaning equipment that can cost you thousands for even the most basic models and let your commercial cleaning company handle it. Even better, it means that you are not responsible for servicing, repairing and storing said equipment. Of course, you are going to need to work with your commercial cleaning company at first to get things running smoothly and work out any kinks. However, the most professional cleaning companies will quickly get on their feet and do their best work in your facility. On top of this, many of these companies will have added services that can be really useful. For instance, carpet cleaning, hard floor stripping and resurfacing, drywall repair, painting, carpet cleaning and more. It can be very helpful and efficient as you have a one-stop-shop for the bulk of your building maintenance needs. For many Facility Managers, running a commercial cleaning company isn’t a lifelong dream just waiting to be realized. Let a solid, professional commercial cleaning company meet the maintenance and cleaning needs of your facility. Having your own cleaning staff is time consuming and requires a lot of resources that are better directed towards your facility. Hiring a commercial office cleaning company will give you and your employees more time to focus on tasks and issues central to your business and the bottom line. Finding the right office cleaning company to partner with in your facility can be a big ask. CIMS can help clear a path that while not making the process easy, at least makes it easier. Here at Stathakis, we have spent over thirty years developing a standard of service delivery. We have worked hard to create lasting relationships with our customers and offer the businesses of southeastern Michigan the service they deserve. We are proudly CIMS certified and committed to the continual improvement that has made us a valued partner to the businesses of southeastern Michigan. If you are a Facility Manager in Ann Arbor, Detroit, Royal Oak, Farmington Hills, Farmington, Dearborn, Livonia, Troy, Auburn Hills, Novi, Plymouth, Downriver or surrounding areas and you are looking for commercial cleaning services, office cleaning, school cleaning, industrial cleaning, medical cleaning or other building services, please contact us to learn more about how we can help make your job at least a little easier and make your facility shine. To find an office company in your area ISSA CIMS-GB certified, visit the ISSA here. 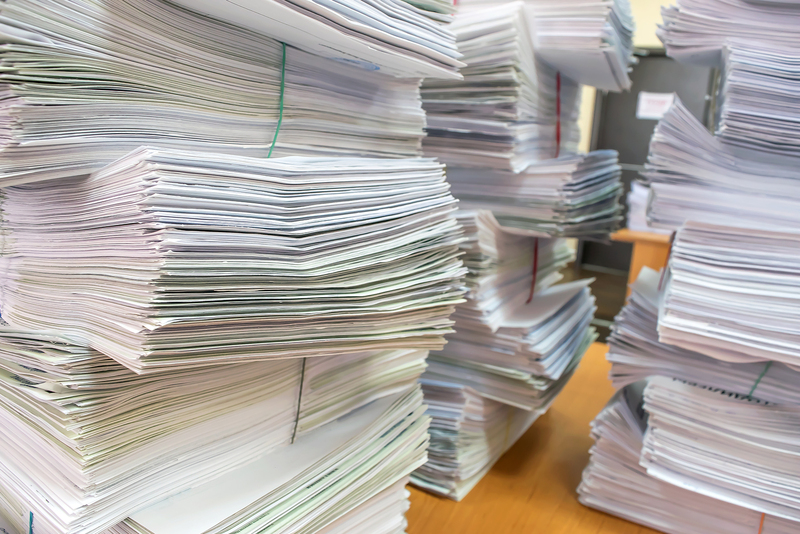 Are Office Cleaning Complaints Piling Up? Is a Constant Influx Of Complaints Piling Up? When your inbox is bombarded by complaints about cleaning, cleaning that has not been finished and restrooms that haven’t been cleaned properly, it’s a pretty good indication that you have a problem with your commercial office cleaning company. As Facility Manager, you likely outsourced your cleaning to what you thought was a professional office cleaning company so that you wouldn’t have to deal with such problems, not to make them more frequent. If it seems like your office cleaning company has been asleep at the wheel, and your inbox is a steady stream of grievances against your office cleaning company, it is time to find a real solution. Are unclean restrooms and low performance noticeably reducing the quality of service in your facility? The problem could be related to the turnover rate of your professional cleaning service provider. If your commercial office cleaning services have a constant influx of new staff replacing more experienced staff, you’ll find that the quality of your office cleaning is reduced significantly. It takes time to train new employees and even longer for them to become acquainted with your facility and its specific needs. The most effective commercial cleaning company is proactive rather than reactive. A proactive office cleaning service will perform inspections regularly to keep an eye on their own people. Further, if they see a trend of poor service as a result of high turnover, poor training or poor fit, they will take steps to address the problem before it becomes an ongoing issue. The most effective cleaning companies in the industry have solid communication skills to address problems. Some Detroit office cleaning companies are just after your money with little thought to excelling at service, but typically, the common problems of cleaning come down to a lack of systems in place to assure quality rather than a lack of good intentions. Being a professional in the office cleaning industry is no easier than any other business and as such should never be left to the inexperienced. Still, startup costs of office cleaning can be on the lower end, creating the overcrowded marketplace you are bound to see when looking for such a company. Still, office cleaning requires no less skill or care. Partnering with inexperienced office cleaning companies will almost always yield the same result. You will get unclear pricing as they are still learning to accurately price their services, inconsistent results, high turnover, poorly trained employees and a lack of communication. Every cleaning company has been there but the more experienced among them have already worked these kinks out. 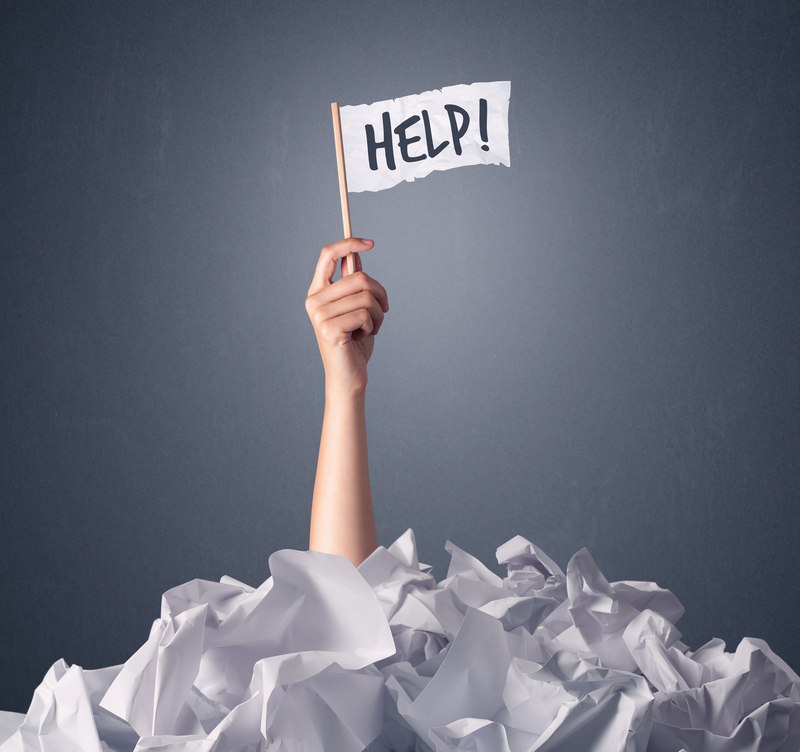 When Is It Time to Sack Your Office Cleaning Company & Start Over? If your office cleaning service isn’t meeting their commitments or just generally causing headaches in your facility, it is time to make a choice. One path you could follow is to sit down with your current service provider and rework your contract so that you can get your cleaning plan back where it is supposed to be. This usually works best with companies that started with a quality service and slowly went off track. However, if you have been unsatisfied with the performance of your office cleaning company for some time now and you have already communicated that with little or no change in service, it is time to find a new company. Finding the right company for your facility to ensure a consistent level of service is probably the smartest decision you can make for your facility. If you have gotten this far then you have decided it is time to start from the top and partner with a new commercial cleaning company. As such, you must be wondering, “how do I find an office cleaning company that fits the needs of my facility, my budget and will help me avoid frequent complaints I am getting about facility cleaning?” The process of finding a new cleaning company can be daunting, especially because there are so many cleaning companies that come in all different types and sizes. You have everything from your national janitorial companies to your mom and pop cleaning services, and everyone in between. Sure, you can ask around, check references and do the due diligence it takes to weed out the fakers but that all takes time, the one thing we are pretty sure you don’t have enough of. If you are anticipating a changing of the guard with your office cleaners, you should know about the ISSA’s CIMS or Certified Industry Management Standard. The CIMS accreditation is an industry specific certification wherein the research needed to vet prospective cleaning companies has been done for you. Looking for this certification can help you find the partner that will provide a high level of service in your facility and help cut down on the number of complaints that you have been getting. The best way to make sure that your office cleaning delivers is to have a professional, effective, and most importantly responsive Detroit office cleaning and janitorial company. Here at Stathakis, we work with all types of businesses to keep their workplaces clean and healthy. We utilize industry best practices to offer our customers an exceptional level of service. We also understand that the people that clean your facility are as important as how they clean your facility. As such, we go well beyond industry requirements when it comes to screening, hiring and training our teams. Can we help you? If you would like to learn how we help Facility Managers just like you with effective janitorial services all while staying on budget, please contact us at (800) 278-1884. Stathakis proudly serves the Southeastern businesses of Ann Arbor, including Detroit, Royal Oak, Farmington Hills, Downriver, Farmington, Dearborn, Livonia, Troy, Auburn Hills, Novi, and Plymouth. Team cleaning has been demonstrated again and again to be strictly more efficient than the traditional zone cleaning. To zone clean is to divide a building up into areas, assigning a specific cleaner or cleaning team to each respective area. While this may seem like a common sense approach to cleaning it can present a couple of problems, namely duplication and specialization. Take for example the process of cleaning one floor, it must be vacuumed or mopped (or both), dusted, surfaces cleaned, trashes emptied, and restrooms cleaned. This requires a large amount of equipment, consumables, and other products for each cleaner to do their job. Further, to properly complete these tasks, each cleaner must be familiar with the specifics of each task that goes into cleaning a whole section of a building. This is a challenging task and can often lead to incorrectly completed work. Team cleaning instead sends a group of people, each with assigned tasks to do throughout a facility. Each person is a specialist in their own right working on one specific item or process for each room. This way, each individual is better trained in their task and doesn't have to move large amounts of equipment from room to room helping to increase efficiency and decrease overall cost. Similarly, if you have a vacuum specialist, a floor cleaning specialist and a restroom specialist, for example, you do not have to outfit each individual cleaner with the equipment and supplies to do a variety of tasks. It is cheaper and far more efficient. Like every industry, the janitorial industry has gone through a number of technological advances in the past few years. As a result, commercial cleaning has become increasingly more effective and more cost efficient. As an example of, the Clarke’s Boost floor cleaning machine, through case studies, has been shown to reduce labor costs by over 80%. While investing in this technology has a high associated cost, the efficiency it offers and reduction in hours can help keep janitorial and commercial cleaning prices down despite a rising minimum wage. Another technology that drastically changed the industry is HEPA filtration backpack vacuums, which allow cleaning staff to cover more than twice the area in a facility in the same amount of time as before. Additionally, the HEPA backpack vacuums also helped reduce repetitive motion injuries as well as improve indoor air quality compared to traditional vacuums. As you can see, not only does innovation in the commercial cleaning industry reduce labor hours, it also improves the health of your building by implementing greener, more sustainable technologies. Implementing Smart Cleaning in your facility can help you keep costs down while living with the rising cost of labor in Michigan. To Smart Clean is to strategically target certain services while reducing others to help reduce the overall cost of cleaning while maintaining a similar, livable level of quality. Strategicallyis of course the key word. If your level of service suddenly drops off you are sure to be flooded with complaints and numerous other ancillary problems. The key to effective Smart Cleaning is two things: first, use a cleaning company that is experienced enough to know what can be cut back on and what cannot. Second, find a company that is willing to take the time to understand the ins and outs of your building as well as your specific needs so as to best implement Smart Cleaning in a way that works well for you and your facility. Smart Cleaning isn’t just a phrase that you can throw at your commercial cleaning company and expect results, it requires forethought, innovation, customization and above all, commitment. By cutting tasks that can go undone intermittently, you can significantly reduce your cleaning costs. When applied by an experienced company, you'll find you can reduce your cleaning hours and cost without drastically lowering the quality of your cleaning. Any service businesses’ single greatest resource is their people, this is in part why rising labor costs have a big impact on Michigan cleaning companies. Employees are key to delivering quality service but the commercial cleaning industry can be notorious for its employee turnover. So, when you come across a janitorial company that actively works to reduce their turnover rate, you are very likely to benefit from their endeavors. Why is that? Mainly because the cost of bringing in new employees with any degree of frequency is a very large expense as it entails recruiting, screening, hiring, and training among other things. Add to that newer employees are more inefficient as they are learning and mastering their responsibilities. This is of course unavoidable, but if your cleaning company is a revolving door of new hires, they are really always in training mode reducing the quality and value of the cleaning services you are receiving. The higher the turnover rate is, the higher the cost is going to be to you, not to mention that the quality of your cleaning will be reduced by the constant changing of the staff that is cleaning your facility. In terms of expenditures, the highest expense will always go to staffing, and with the increase in minimum wage, this number will only go up. The best companies in the industry will look to position their business model in such a way to avoid passing on the cost to you by utilizing techniques like Smart Cleaning and by investing in efficient equipment. However, if you need fixed hours, the cost is going to go up. Taking advantage of industry innovation can help keep prices level, but understand how the rising wage impacts the price of your janitorial and commercial cleaning service provider. 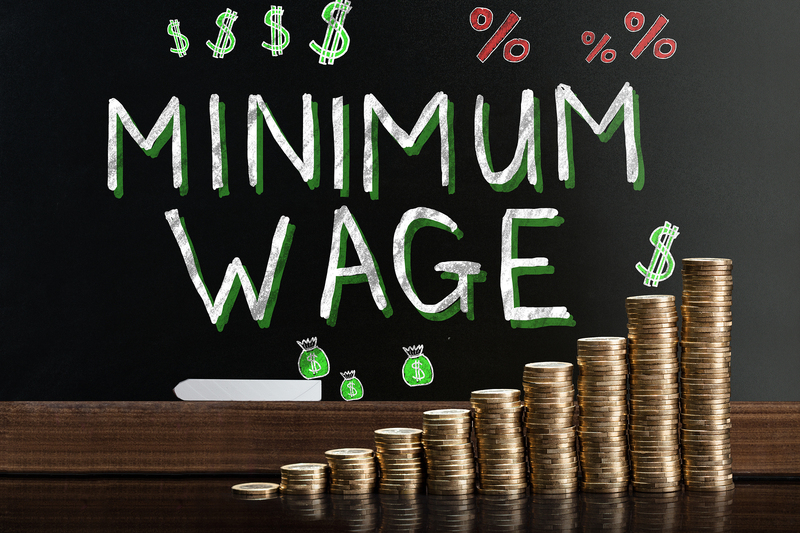 Inevitably, Michigan’s rising minimum wage will have an impact on costs in a number of industries and the janitorial industry is no exception. Still, there are things to be done with both you and your janitorial company making adjustments to try to keep costs as level as possible and still keep your facility well maintained. Are you looking for better service? Better value? More consistency? Reach out and let us show you how we can make your facility services work for you rather than against you.